Sheepskin Girth Sleeve by Cottage Craft. 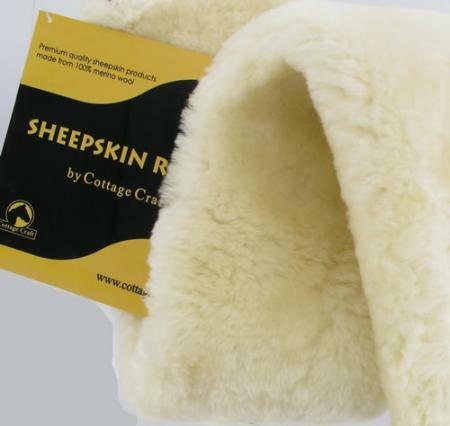 The sheepskin girth sleeve by Cottage Craft is a premium quality sheepskin product, made from 100% merino wool. It can be machine washed on the wool cycle, using a wool detergent (not a biological washing powder) and dried away from direct heat. The N301 sheepskin girth sleeve is available in 2 sizes, small for ponies and large for cobs and full size horses. Only available in natural cream.